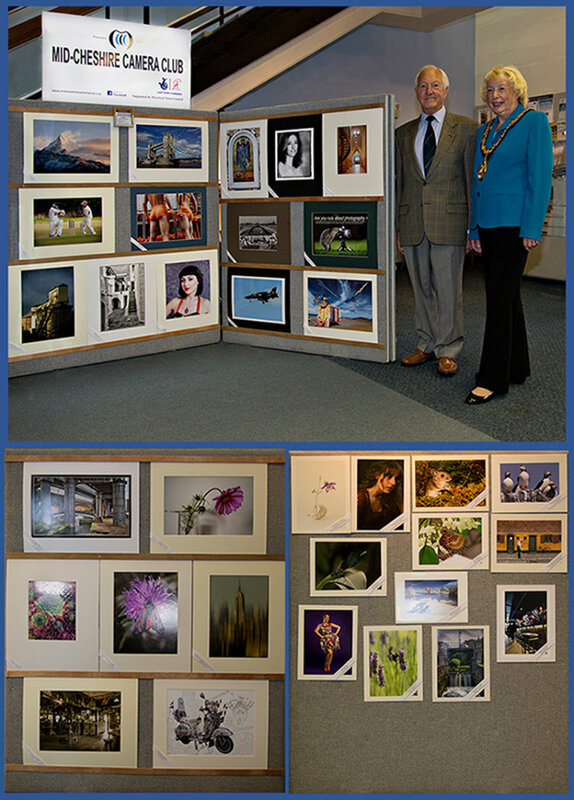 Lady Mayoress of Winsford, Mrs Gina Lewis, opened Mid-Cheshire Camera Club's Annual Exhibition on Wednesday the 1st of October at Winsford Library. Many of the members of the camera club were at the opening. Mrs Lewis remarked on the quality and variety of pictures and requested copies of some of them for the Town Council. Ray Hill club chairman thanked the Mayoress for opening the Exhibition. The exhibition runs for all of October and the display will be refreshed with a change of some of the pictures halfway through. Admission is free and everyone is welcome whether you are a photographer or not. and is located within the Shopping Precinct in Winsford. If you are not sure if a camera club is for you, your first three weeks will only cost you £1.50 per week with no obligation to join.